Itchy palms may seem harmless enough, but did you know that itchy palms can indicate serious medical conditions like liver disease? Medically referred to as palmoplantar pruritus, having itchy palms can be extremely uncomfortable, possibly leading to rashes and swelling. Because the cause of your itchy palms could be anything from an allergic reaction to a serious skin infection, it is important to see a medical professional to obtain the proper diagnosis and treatment. 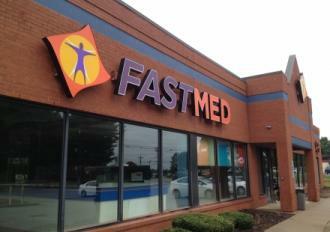 If you live in North Carolina or Arizona, chances are there is a FastMed Urgent Care right in your neighborhood! FastMed understands that when illness strikes, it’s not always during the week. That is why FastMed is open weekends, holidays, and even stays open late Monday through Friday. Most of us have experienced dry, itchy palms, especially during the cold winter months. However, when the itchiness doesn’t go away after moisturizing, or when a rash develops, it is time to see a doctor. Psoriasis: Characterized by thick, red, scaly patches on the skin, Psoriasis is a lifelong genetic condition affecting about 2% of the U.S. population. Allergic reaction: When you come into contact with an allergen, severe itching, swelling, and blistering can occur on several areas of the body, including your palms. Systemic diseases: Diseases such as Crohn’s disease, kidney disease, or liver failure often cause itchy palms and feet. People who have liver disorders often experience intense itching due to bile products that are being deposited in the skin. Infections: If a hand wound is not treated effectively and becomes infected, the infection can cause itchy palms and inflamed patches of skin. The first step to getting the proper treatment for your itchy palms is to see a medical professional who can determine its cause. Psoriasis, for example, can often be treated with topical treatments like salicylic acid; systemic diseases, like Crohn’s disease, will require more extensive care from your doctor. FastMed offers walk-in services, scheduled appointments, accepts most insurance plans, and strives to see every patient in under an hour. Want to know what else we are up to? Check us out on Facebook!